Tales of Manchester Life – upcoming performances! 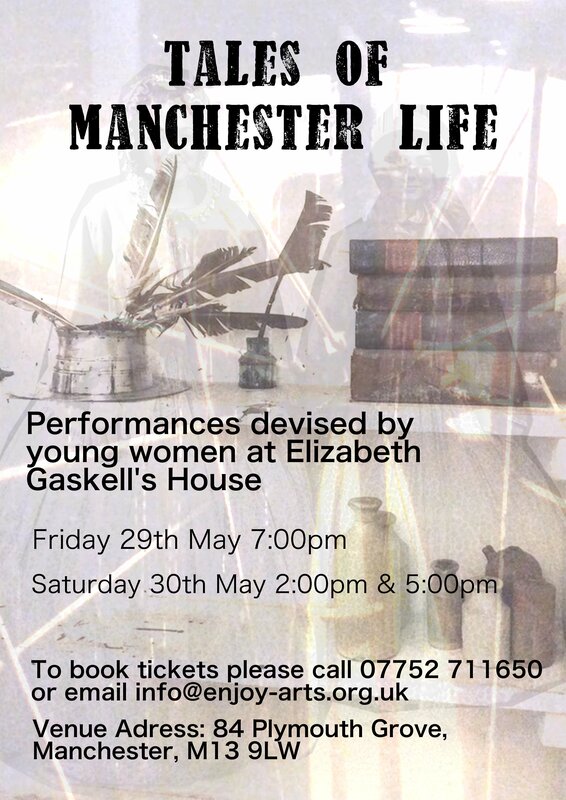 Just three weeks to go until our ‘Tales of Manchester Life’ performances by young women at the incredibly atmospheric and inspiring Elizabeth Gaskell’s House! We can’t wait to share what the groups have been creating and the good news is you have not one, not two, but THREE opportunities to join in the fun! Please call or email us for tickets (details on the flyer below) and be speedy as spaces are limited! 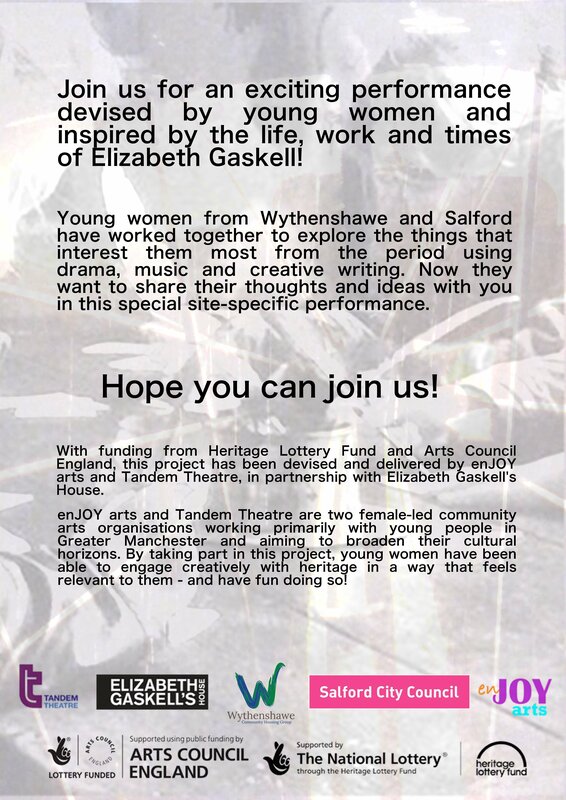 This entry was posted in News and tagged applied theatre, Arts Award, arts council, community, creative arts project, education, elizabeth gaskell, elizabeth gaskell's house, enJOY arts, girl's project, girls, heritage lottery fund, manchester, north west, performance, salford, salford youth service, women, wythenshawe, wythenshawe community housing group, young people, young women, youth by enjoyarts. Bookmark the permalink.